Though we certainly don’t want to discourage putting your money toward more worthwhile causes, we do want to bring your attention to another unique item that just hit the Ebay auction block Wednesday evening. 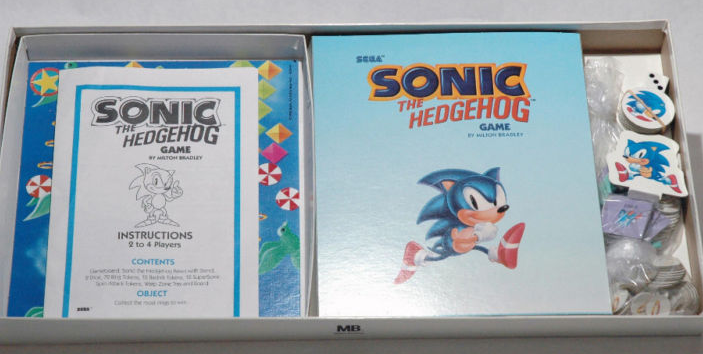 It’s a 1992 Sonic branded Milton Bradley board game, and you don’t see these often. It is used, and it does have a couple pieces missing. But you can play through four zones from the original game with a cutout Sonic: Green Hill, Labyrinth, Marble, and Scrap Brain. The Indiana based seller isn’t asking much for it, either. You can Buy it Now for $14, plus $9 for shipping. So it’s cheap, and you don’t have to worry about physics. Collectors, take note.